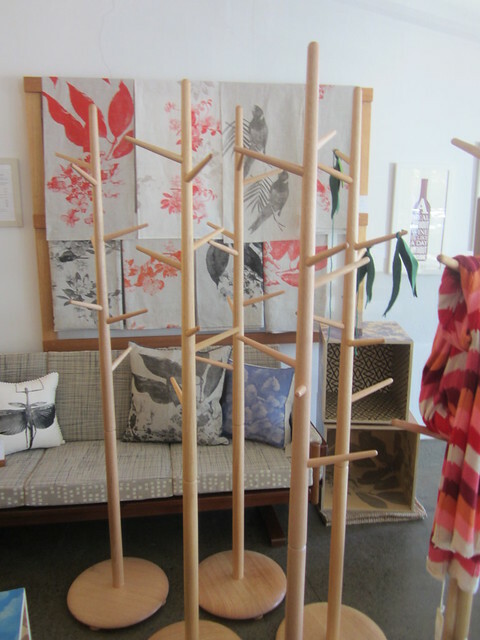 I just made a bunch of coat racks into gum trees. You know, as you do! I’ll go on shall I! I was invited to be a part of the first South Melbourne Scout festival, and as I seem to be saying YES! to random things that come my way these days, I said yeah, OK! But, only if i could be pared with a local biz that I really like being Southwood Home & luckily Catherine from Southwood was really happy to have me too & so it was! 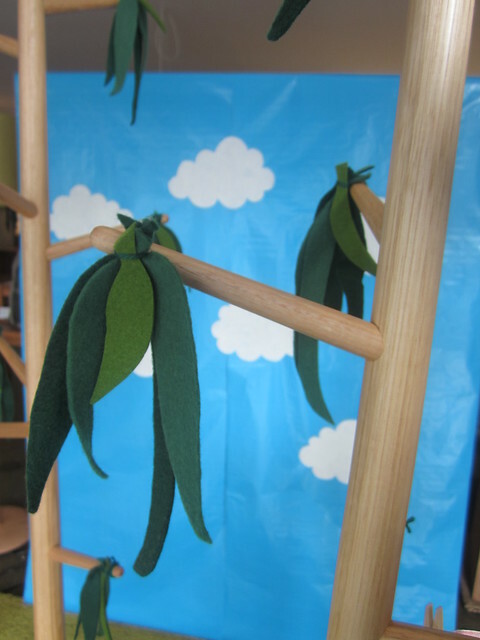 The creative challenge was to make an environmentally friendly window display from the products sold in the shop and with a theme of a nursery rhymes, stories or myths. Close up of my gum leaves: I’ve gone with the ‘less is more’ approach! 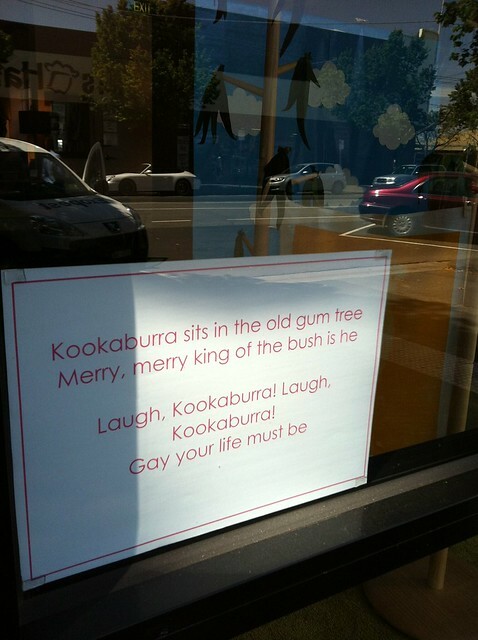 The end result is a little forest of gum trees! 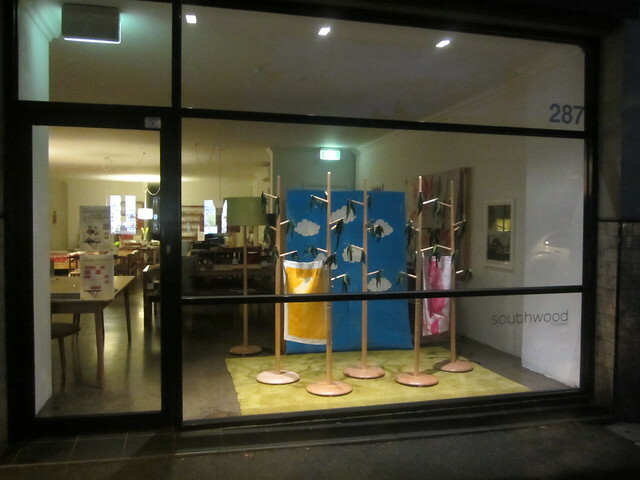 – it looks simple, but effective and eye catching in the window! And with basically zero dollars spent on it, I am happy with the end result! & just incase no one gets the theme, I popped this is the window to make it just that bit more obvious to the passes by! I wonder if we will be called on for the last line in the song. Bring it on I say! & if you are in the area the festival is on THIS SUNDAY 19th Feb & mainly in Clarendon Street. There are lots of activities for one & all and performances by rock stars that were big in the 80’s & 90’s. hmm. Either way, I’ll be around!